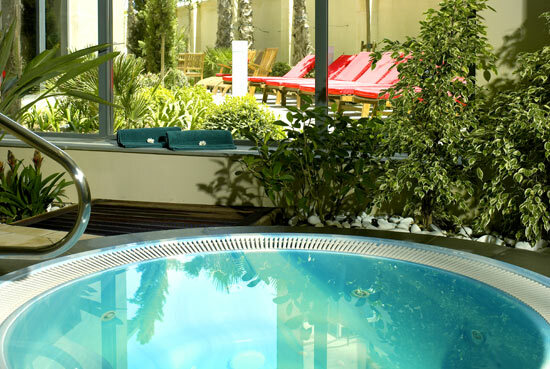 A five-star hotel with truly five-star facilities, if you are looking to relax while on holiday you will not be disappointed with the onsite spa centre at the Le Meridien St Julian’s Hotel and Spa. This impressive complex is beautifully designed to provide you with the ultimate relaxing experience. The spa is scented with natural essential oils and plants, channelling the ancient techniques of aromatherapy and phytotherapy to create a zen environment and ensure guests are able to fully unwind. Fully equipped with a sauna, steam room and cool dip pool as well as a wonderful selection of treatments, you can spend hours unwinding in this fantastic facility. Resembling a Roman bath in design, the heated pool area is grand and inviting. 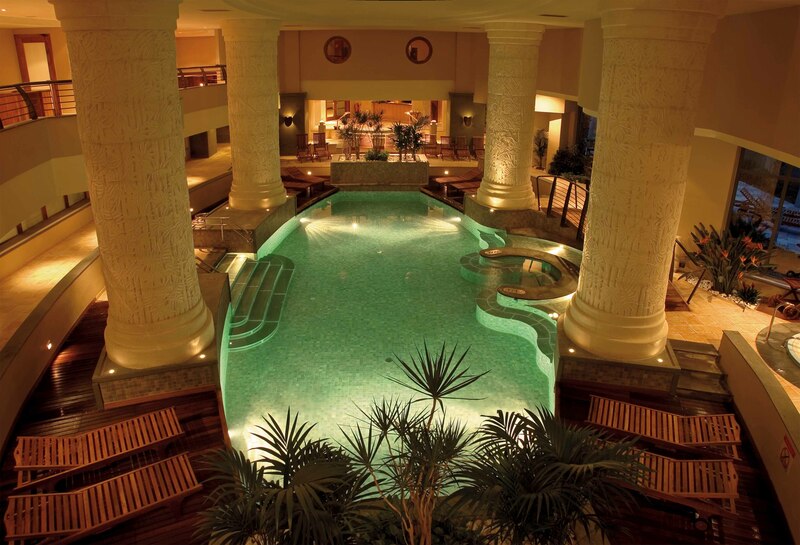 Surrounded by white, hand carved pillars you could spend hours swimming and relaxing by the pool. Open all year round, the heated pool is an advantage during the winter months when temperatures can be too cold for the outdoor pool. With so much choice it can be difficult to know what treatment to go for. Fortunately, the hotel provides optional, tailor made spa packages created by a spa-concierge to best suit your needs and preferences as well provide specialist advice. Do have a look at the photo tab at the bottom of the main page where you can find images of the spa and treatment areas.